With another EB Games Expo imminent on the Australian gaming calendar, the excitement has just been compounded by the announcement that Microsoft’s Head of Xbox, Phil Spencer, will be present at the event, and will be delivering a keynote speech. This will be Spencer’s only public speaking engagement in Australia, and through him, Microsoft will seek to inspire the EB Expo audience. Having been largely responsible for Xbox’s major public announcements – in addition to heading its creative and technical departments – Spencer has developed into somewhat of a gaming industry icon. He is also responsible for Xbox’s consoles, accessories, the Xbox live service, and the general console gaming experience delivered by Microsoft, which sees traffic of over 48 million active monthly users. 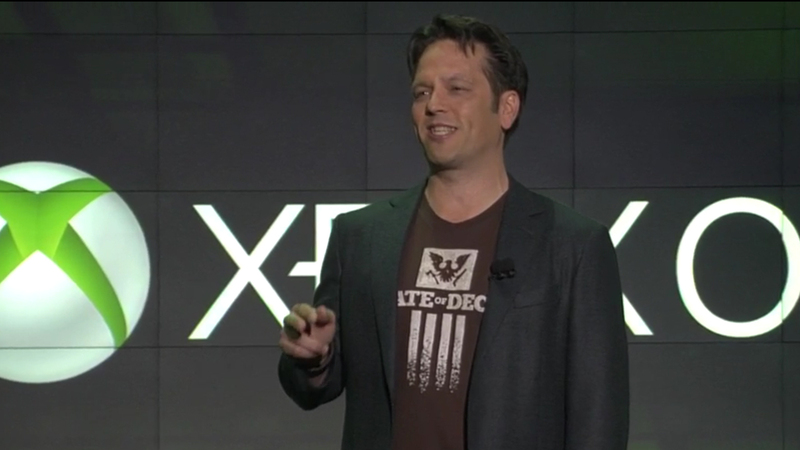 Phil Spencer delivers a speech at an E3 conference. EB Expo attendees can expect to hear Spencer address topics such as Microsoft’s push for evolutions in console hardware and performance, and Xbox’s lineup of exciting upcoming releases – some of which will be playable at the event. Spencer will deliver his keynote at 11:00AM on Friday, September 30th. EB Expo will run from Friday, September 30th to Sunday, October 2nd, and will be held at Sydney Showground. Additionally, tickets can be purchased at the above link, EB Games and Zing storefronts, or through Moshtix.